Feel the burn while you work out with elastic resistance bands. 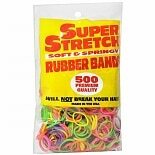 Our assortment of resistance bands features different strengths as well as sets of elastic resistance bands that include several strengths in one kit. Try work out resistance bands from brands such as Fitness by Cathe, Altus Be Fit Look Fit or STOTT PILATES. You can use elastic resistance bands for a number of exercises targeting various muscles. Some exercise resistance bands come with a DVD to help you put together a workout designed by a professional. Resistance tubes can help strengthen your arms, back, shoulders, legs and more. 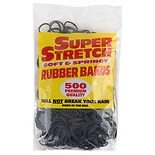 You can also find flat resistance bands to use as part of pilates routines. We carry a range of exercise equipment and fitness accessories to help you stay in shape and vary your workout routine. Choose from fitness balls, jump ropes and pull up and push up bars to work your muscles and get your heart going. You can wear a heart rate monitor watch that not only records your pulse, but may have a timer and other capabilities to help you track your activity level and effort.